What’s that? Like a t-shirt quilt, only with button down shirts? YES!! That’s exactly what it is! 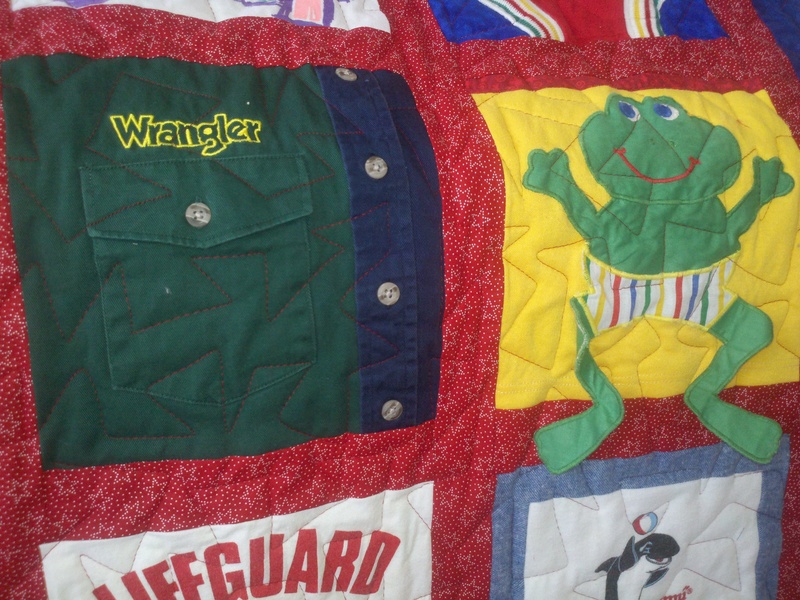 This one happened to be within a ‘baby clothes quilt’, but the entire quilt can be made up of them. This one was for a school principal that was retiring. The top left shirt, second row 2nd and 4th shirts were button downs. The middle second row was a sweatshirt, the top row right has an open collar. 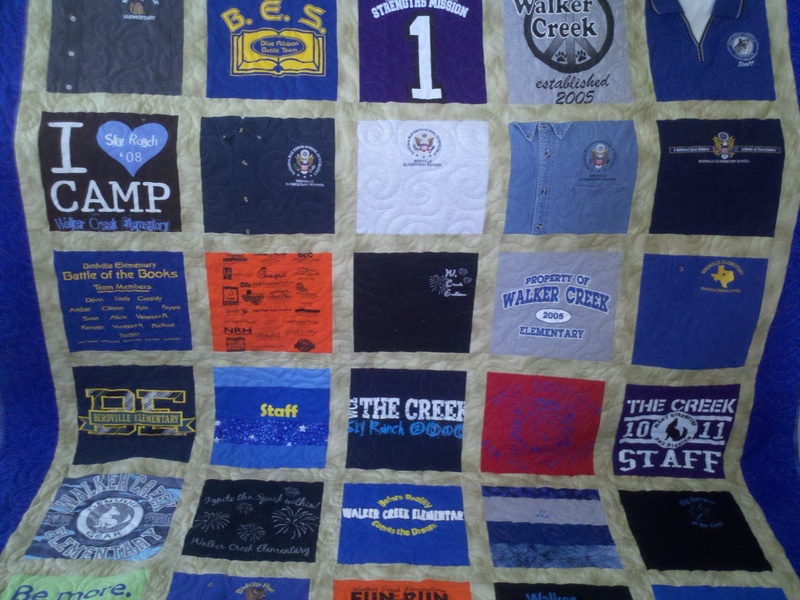 These types of shirts are challenging to add to a quilt, but they can either be mixed in with other shirts, or an entire quilt can be made of button down shirts alone! What do you need to do to use those shirts? Well, trim them, just as if they were a t-shirt. They need stabilizer, but only along the opening, where the buttons and holes are, so that area doesn’t stretch apart. If you want to cut off the collar (or can based on your square size), then you don’t have to deal with it. If you have a button down collar or something cute that you want to keep, then fold the collar up, sew some plain muslin into the V / empty area of the neck, and that covers the empty space. The difficulty can come with sewing through the many/thick layers of material those types of shirts involve. You need to be very careful with measurements, seams and allowances and guiding your machine and needle through the thick areas of the shirt. I’ll post soon on the hockey jersey quilt I just finished. THAT was difficult! Happy quilting! !